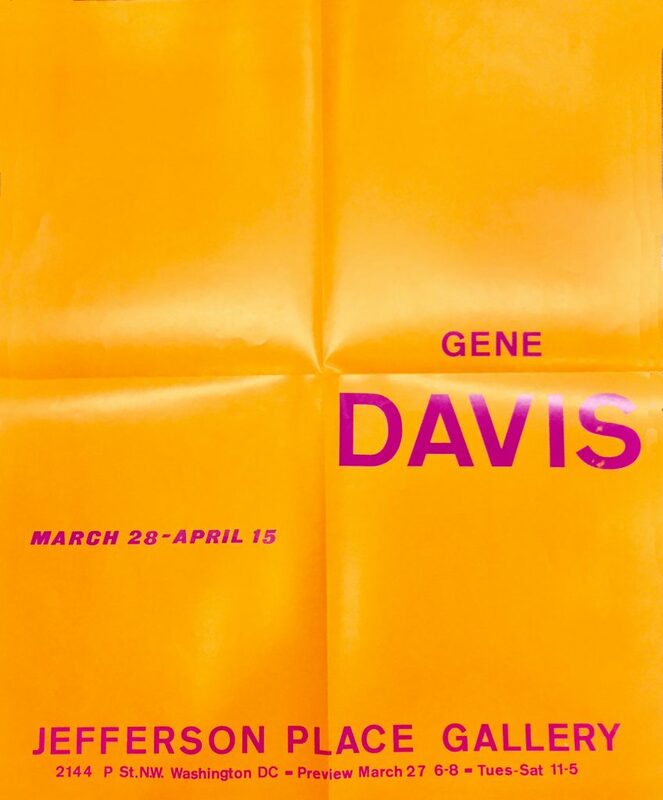 Gene Davis (1920-1985) was a sport journalist before transitioning to the arts. 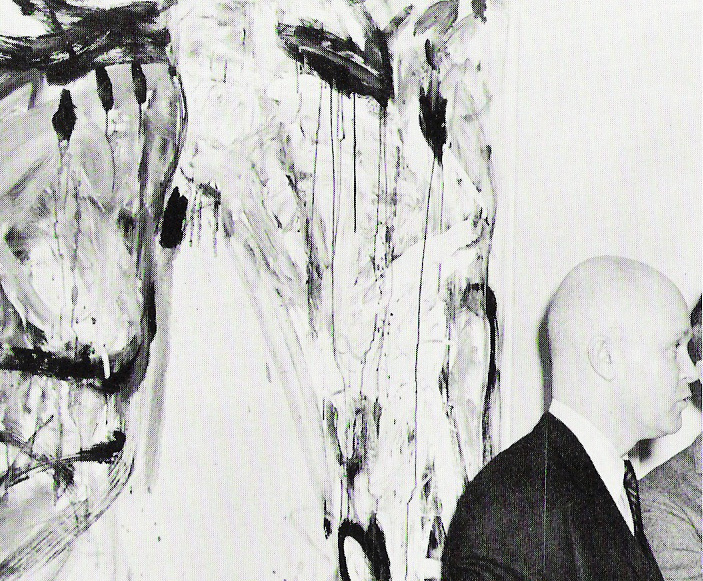 He reportedly made his first artworks at age 29. He achieved significant success, and influence, through his hard line color drawings and association with the Washington Color School. His works continue to have a strong market, and are frequently exhibited in major cultural institutions. 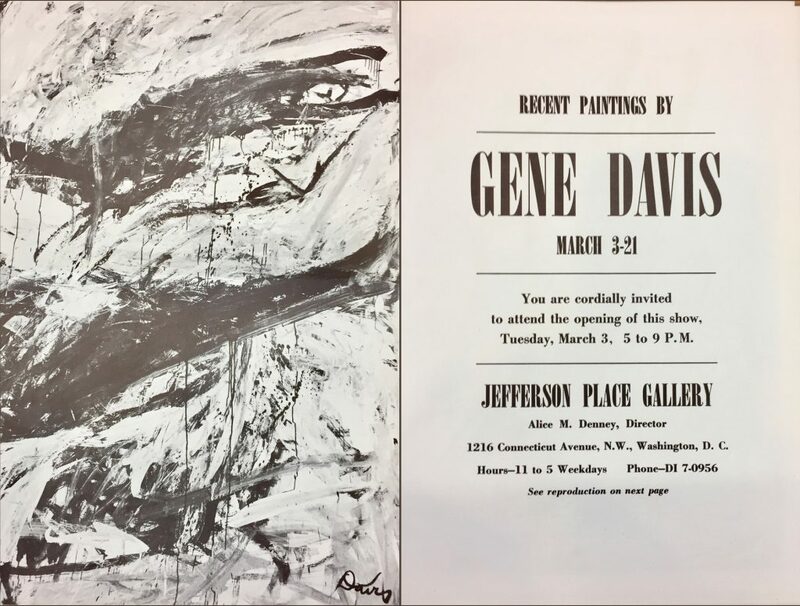 GD: Would you like to see my first stripe painting from 1958?… This pale painting doesn’t have anything to do with my more familiar, bright, hard edge stripe works. This is closer to Klee..
You better hurry on down and either get help or mad. 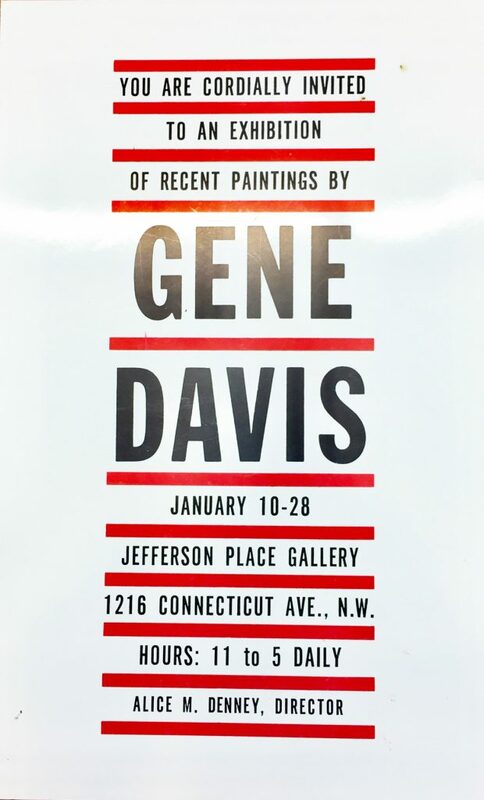 Davis is a member of the “action” group of painters, who believe that the act of painting is an end in itself, and his work is certain to arouse a a storm of controversy among the public. 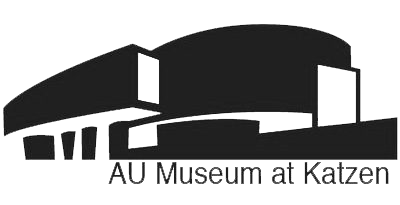 He is one of the best draftsmen working in Washington. 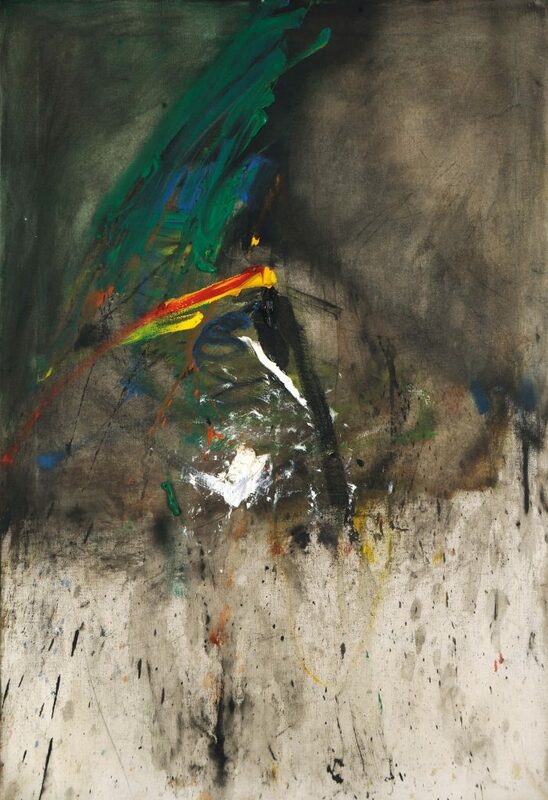 His command of black and white is unusually fine, but this is the first time that so large a group of his abstract expressionist paintings has been shown. 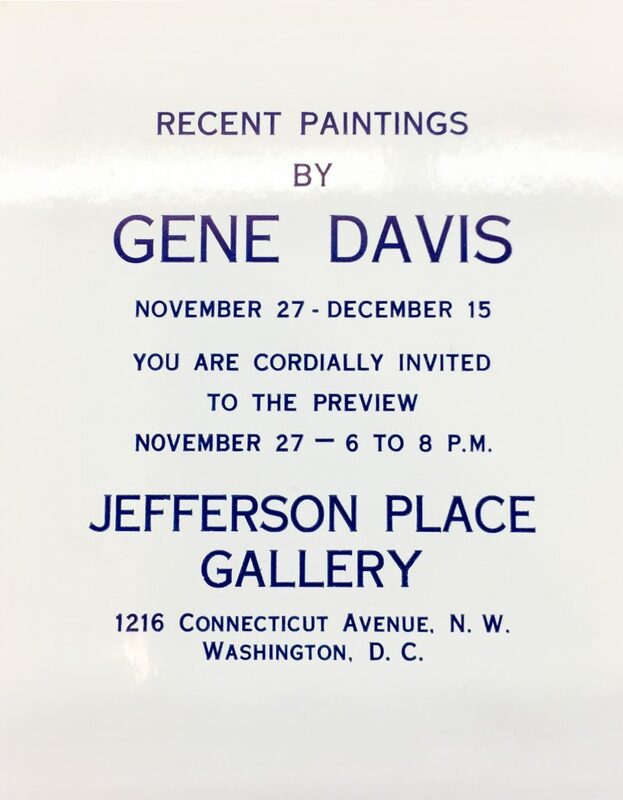 The Jefferson Place Gallery has just opened a one-man show by one of its new members, Washington journalist Gene Davis. 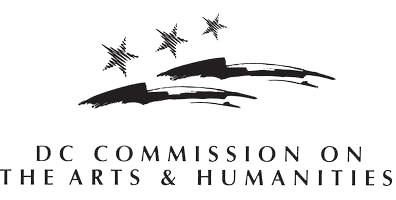 Davis has held previous shows at the Watkins Gallery, the Franz Bader Gallery, Catholic University and the Dupont Theater Gallery. Stripes are the theme of most of these 17 recent paintings, which range in size from one about 90 square feet to several a foot or so in dimensions. 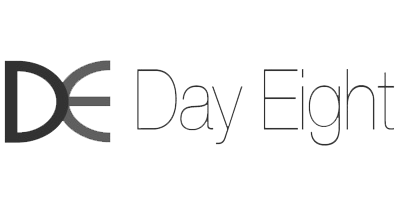 Some have pencil-thing stripes close together, other wider stripes farther apart, showing more natural white canvas.